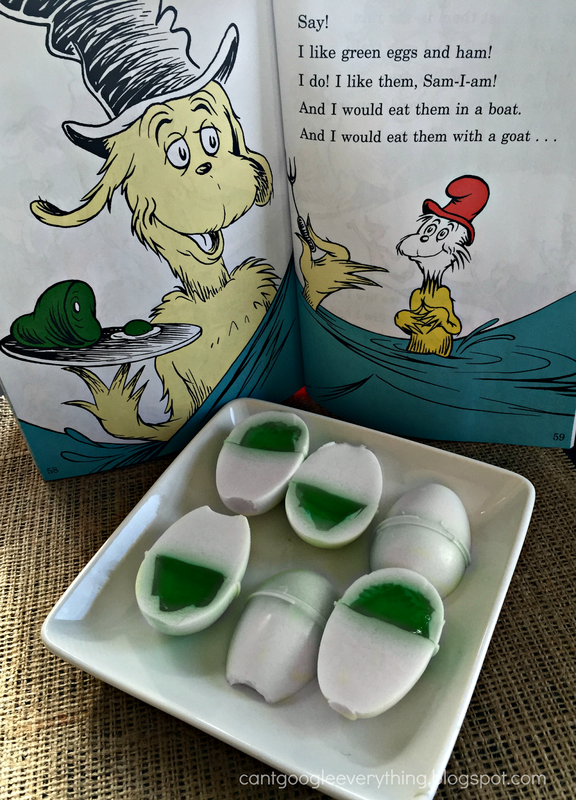 Celebrate Dr. Seuss Day with Green Eggs Gelatin Shots! So many people grew up reading the famous Dr. Seuss books and they are one book series that really has appealed to so many generations! Next week we celebrate Dr. Seuss Day on March 2nd, but who’s to say this celebration is just for kids? 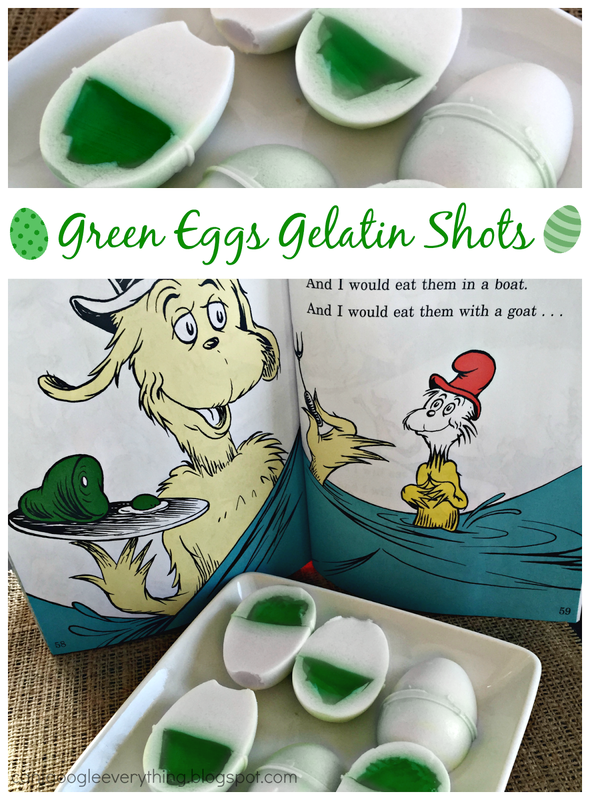 Adults can celebrate, too, with my fun Green Eggs and Ham inspired gelatin shots! Note: this recipe takes a little while because each step requires the gelatin to set. Hands on time is only about 20-30 minutes. Total time is 12+ hours because it needs to set in the fridge between steps! In other words, plan ahead! Measure 3/4 cup of the coconut milk and pour into a small saucepan. Sprinkle 2 packets of Knox over the milk and let it set for about 45 seconds. Turn on the burner to medium-low heat and bring the milk to a boil, stirring often so it doesn’t burn. Remove from heat and add 1/2 cup of flavored vodka. Prepare molds by lightly spraying with cooking spray. Pour mixture into the bottom half of the egg mold and then place in the fridge to set, about 4 hours. Bring water to a boil. Mix water with green Jello until it’s fully dissolved. Do not add cold water or vodka. Allow it to cool on the counter a few minutes before the next step! Carefully add green mixture into the “bowls” you created earlier. Repeat the steps in part one with the remaining 3/4 cup coconut milk, 2 packets of Knox and 1/2 cup vodka. Prepare top half of egg molds with cooking spray. Tightly click them in place onto the bottom. Carefully pour the white mixture into the molds. I use a tiny funnel for this step! Place in fridge to finish setting. When it’s done, remove from molds (they should slide right out) and cut in half to serve. I love green eggs! I would eat them in my house, I would eat them with my spouse. I would eat them with a friend, I would eat them around the bend! What are you doing to celebrate Dr. Seuss Day? Looking for more Dr Seuss themed ideas? 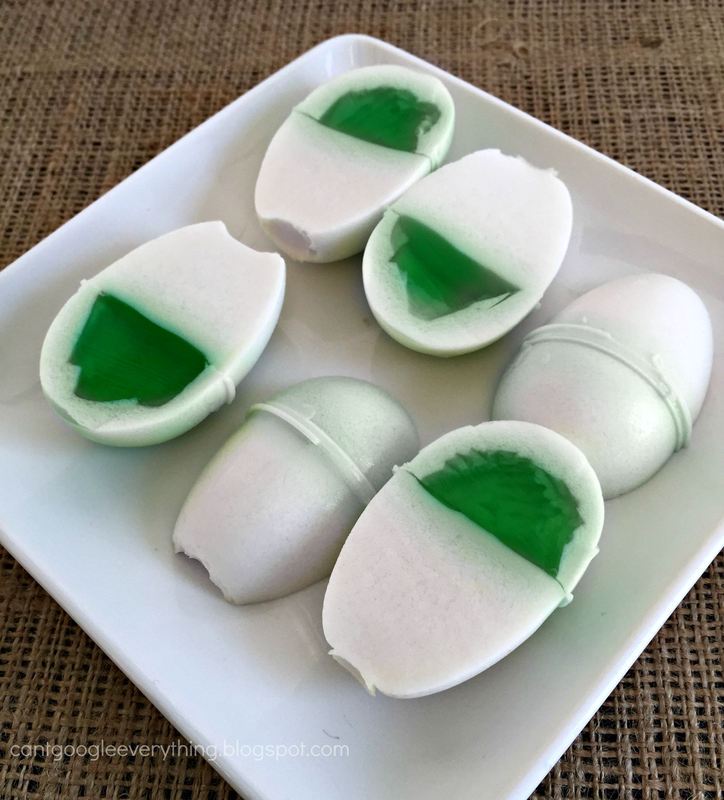 Hop over to Krystal’s Kitsch for her Green Eggs and Ham inspired kids activity! 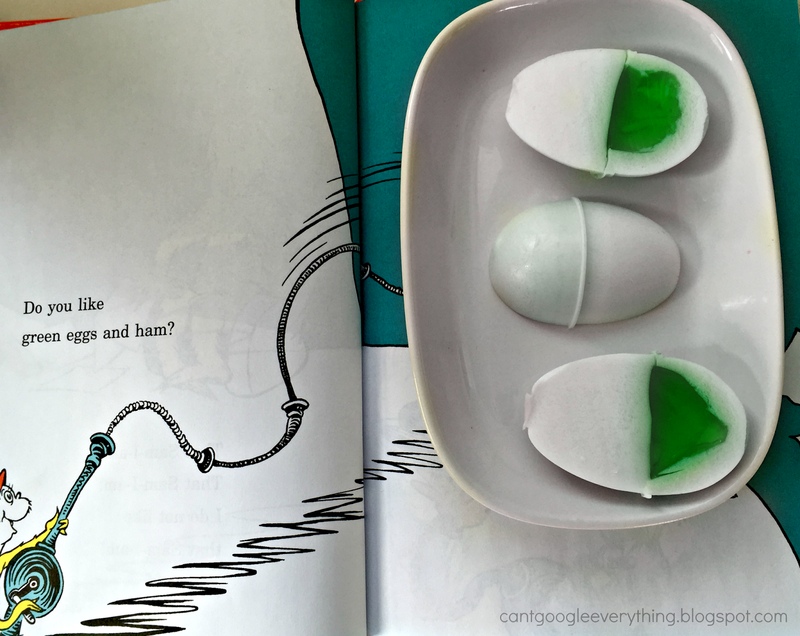 We hope you love our Green Eggs and Ham inspired theme! I like the way you think 🙂 Plus, I love the fun kids ideas for throughout the year. These are AWESOME!!! I always remember "Dr Seuss Day" in March and it was my favorite! !